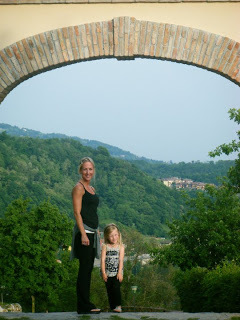 It has been a while since we did this ride, but I wrote a bunch of notes each day while we were in Italy on our FinKraft Camp, a trip that you do no forget anyway. I have not had time to post everything, but I will finish off the whole camp, so you guys can see what it was all about and if interested next year you can sign up. 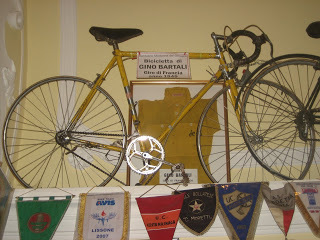 Today was a pretty nostalgic ride to Ghisallo. A ride we all were looking forward, scenic, but nothing crazy climbing. 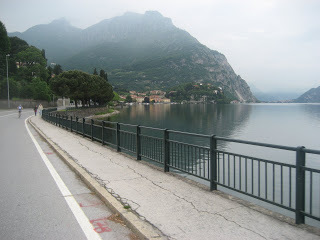 Uphill for sure and an hour to the base in Bellagio along side Lake Como, we are feeling good and really enjoying the view. 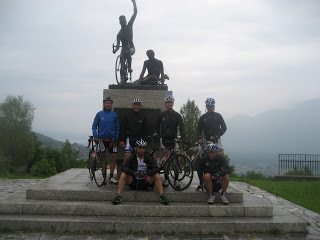 The Ghisallo climb is about 12 K , we took the Super Ghilsalo , since it is a little longer , isn’t that what you supposed to do anyway , no short cuts ! A few rain drops, but nothing that would spoil the day. Legs were good today and if it was a race, I think I would have had a chance! 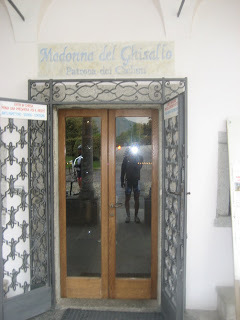 At the top there is the very famous Madonna del Ghisallo , a bike sanctuary filled with nostalgic bike from way back , some thing you would never see some where else . 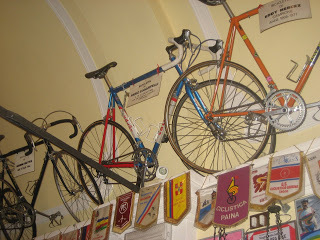 This is bike “heaven “ with a museum next door and a restaurant, which we picked over the museum, it was lunchtime and the boys were hungry! 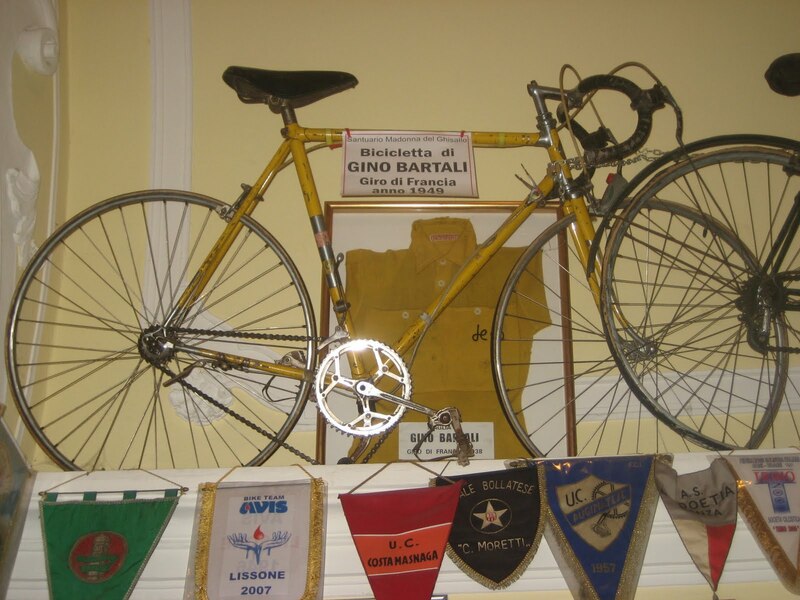 We had a quick lunch and then back on the bikes, we took the back way, around the mountain a nice route were the Giro di Lombardi goes as well on October, fare amount of climbing, but nice roads and not much cars. 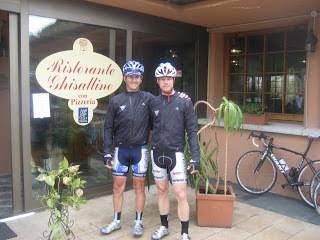 We ride by all the lakes around the Como region and after a nice 4-hour loop we are back at Cascina Belvedi. 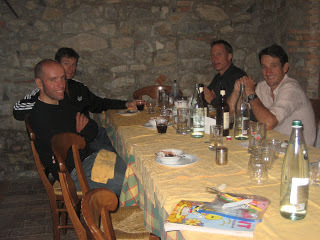 A perfect ride, perfect timing to watch the Giro while having some cheese, bread and wine. 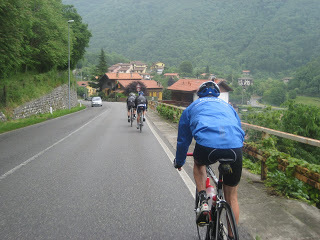 Big day at the Giro, Mortirolo and finishing at Aprica. We were just there 2 day ago, familiar grounds and even more exciting to watch. 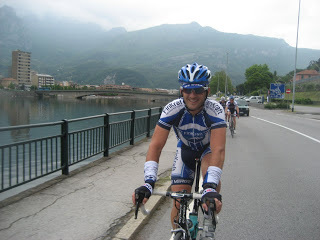 Tomorrow is our off day and we get to watch the Giro live 2 feet away from Basso and the rest of the crew. A relaxing night and more great food ! July 25, 2010 in Announcements.